Do I really need to say how ravishing this cover is? I’ve read several other books by this author and he has yet to disappoint me. The chapters alternate between past, present, and various settings in history and reveal how Peter and June are connected. The history of the avtomats and how they each live by their ‘word’ is intriguing and I would have liked more details, but it looks like there’s a sequel, so I’m assuming the author plans to expand on that in a future book. With intricate avtomat design descriptions and vivid imagery, the action scenes play out like a movie (especially when June experiences claustrophobia) – and I can easily picture this as a movie. 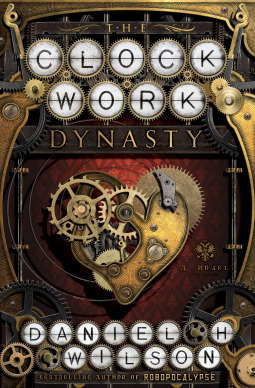 There’s no doubt I enjoyed Clockwork Dynasty, but I admit the pacing was a bit slow in a few places and I skimmed through some pages. While Peter’s character was well-developed (I kept forgetting he wasn’t human), June felt a little flat and other than her engineering talents, I knew next to nothing about her. If you’re familiar with Wilson’s books, you know they tend to revolve around artificial intelligence and robotics, so if that’s your thing, this is your book. If, however, you’re looking for more of a steampunk feel, the cover is slightly misleading. In my opinion, this book leans more toward sci-fi. I agree with you about the cover. It’s gorgeous. Caught my attention first, then I saw it was by an author I’d read many times. I love books that employ a back and forth element with history and the present. In this case, I think it helped with bringing the story full circle and also with pacing. The cover is certainly eye-catching. Will have to look in to this one! 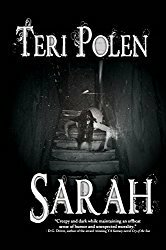 This book sounds really good, Teri. A really good idea. A little different for this author, but a good read.